This is a bike helmet made for people who think bike helmets are a pain to carry around. English inventor Jeff Woolf came up with the idea of the first fold-flat bike helmet after noticing that many cyclists using European bike shares were going helmetless. He discovered that most who shunned helmets did so because they said they were too bulky to be conveniently stowed between rides. Morpher inventor Jeff Woolf with an earlier prototype. Certain a helmet had helped protect his head in a bike crash, Woolf wondered if there was a way to inspire more helmet wearing. "If I could invent a helmet that could fold flat, then I might save lives," Woolf said in an Indiegogo campaign for the helmet, called Morpher. Fat bikes are usually thought of as heavy and slow. They're also typically ridden in wintery conditions. Jason Woznick of Fairwheel Bikes decided to challenge both of those notions, however, with an ultralight carbon fat bike that will very likely never see a single snowflake. "I had a couple of reasons for wanting to do this one," Woznick told BikeRadar. "The biggest was that fat bikes are fun, but in a place like Tucson there really isn’t a reason to choose a fat bike over something like a 29er in most cases. I wanted to build something that I’d want to take on rides rather than just always grabbing the 29er. To me a big part of that was building something light that handled and rode well. This bike simply makes me smile when I ride it and when I finish riding it, I still want to ride it again." Folding bicycles are wonderful, but by and large they have to strike a compromise: large wheels and limited portability, or small pack-size but with tiny little wheels. This slightly strange hubless bike promises a solution to that problem. The wheels have no spokes, the system folds with a single movement, the packaging container can also be used as a backpack... It uses a system anchoring the wheels using smaller wheels held by a small frame and a specific quick clamping device. They allow you to fold the bike quickly and easily, using its special package like a trendy backpack. It certainly lives up to its claims in terms of folding—check out the frame once collapsed in the image below. Obviously you have to move the wheels, too, but they're probably not particularly cumbersome given they have no hubs or spokes. They might even make a good impromptu hula hoop. But there's one downside we can see from the off. Bicycle wheels typically get their strength from the tension in the spokes; removing them means that the strength has to be put into the rim instead. That's fine, but it adds masses of weight to the outside of the wheel—and that, if you remember your physics classes from high school, is a problem. Rotating weight is where you notice it most, because you have to get the mass spinning. Standard 700c , 28mm tires. Custom production number engraved on the frame for first 100 early-bird backers. BIKE! from Trevor Adam Gill on Vimeo. I might just take my next bicycle vacation to Detroit after watching this inspiring video produced by my old college friend Donna Terek, now of the Detroit News. While Madison, with all it’s bicycle paths, bike lanes, and B-cycle bike share system might fit the League of American Bicyclists’ (and most people’s) definition of a Bicycle Friendly Community, Detroit appears to be a genuinely friendly city for people who want to ride bicycles. The difference is more than semantics. I’m not saying Madison is not a friendly community, it is. And while I am sure lots of people who ride bicycles in Detroit would love to have all a bike share system like Madison B-cycle, and all the bike lanes (Detroit does have 170 miles of bike lanes), paths and other cycling amenities that Madison boasts, Detroit appears to have developed a wonderfully diverse, grass roots, urban bicycle culture that should serve as a DIY model of how to grow bicycling for free, even before you have the bicycle friendly infrastructure. Instant oatmeal and rum in an alder thicket provide shelter from the storm. One evening in mid-June in the remote fishing port of Yakutat, Alaska, a young Tlingit girl and her mother walk past two men hunching over strange bicycles and a spread of colorful equipment outside the town's single-gate airport. "Where are they going on those bikes?" she asks her mother, which is an excellent question considering that Yakutat has only a few short Jeep tracks and no roads or trails leading to another town (because there is no other town). "I have no idea, honey," her mother replies. From the patio of a nearby shack, aspirationally named the Yakutat Lodge, a woman in a Bud Light sweatshirt takes out a cigarette and says, "What're you guys doin'?" Ryan Krueger and I point to the fat, four-inch-wide tires on our bicycles and explain that we can ride on sand, that our tiny rafts will allow us to cross the many rivers we will encounter, and that once we figure out how to actually affix our tents and sleeping bags to our bikes and stuff five days of provisions into our backpacks, we intend to ride to the ocean and down its uninhabited coast to see what there is to see. She considers our dry bags, paddle shafts, bulging bike wheels, and various sacks of food." "You ever done this before?" she asks dubiously." "Actually," I say, pausing in my third attempt to strap a deflated raft to my handlebars, "this is our first time." She says she'll pray for us. They're at Qargha Lake, whose aquamarine waters sit below a snow-sprinkled mountain backdrop of 13,000-foot peaks. It was here in 2012 that Taliban insurgents attacked a resort, killing 18 Afghans. But this day is all about riding: The cyclists wear long-sleeve jerseys and full-length tights — and draw hoots, honks and open-mouth stares when they pedal past. 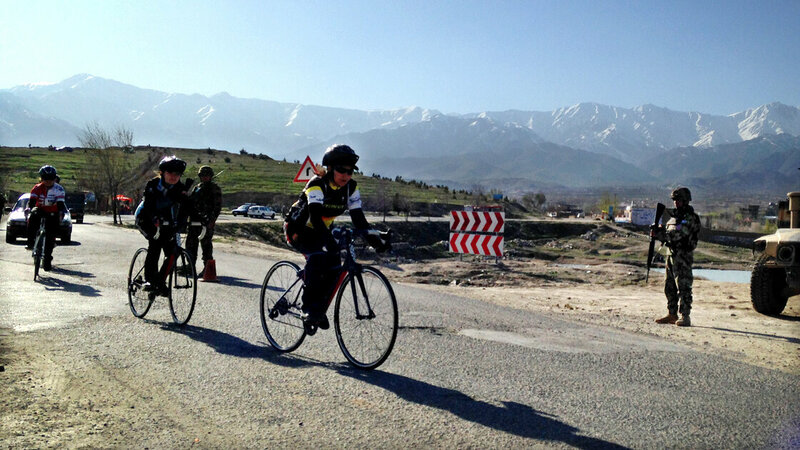 These aren't ordinary riders: They're members of Afghanistan's only women's cycling team. And in this deeply conservative country where women have long been confined to the shadows, they face more dangerous obstacles than chaotic roads. THIRTY-TWO THOUSAND bicyclists are expected to ride in the annual Five Boro Bike Tour in New York City this morning. 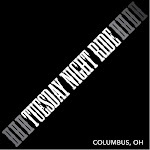 About half the registrants are from out of state and won’t be familiar with riding in the city. They’ll be getting their dose of it on its best day, when cyclists seize thoroughfares like Avenue of the Americas and the Belt Parkway from quotidian traffic terrors like the garbage truck and the wide-turning bus. It is, in fact, a cool experience; you won’t get it, entirely, if you’re a suburbanite or someone from farther afield, but if you’ve lived in New York as an adult as long as I have — more than 35 years — just the idea of riding a bike on F.D.R. Drive is liberating, a power-to-the-people sort of delight. Plus, the worst hill you have to climb is over the hump of the Verrazano-Narrows Bridge. So, welcome, all you strangers, share the bounty of the day, and have a good time. But you don’t know the half of it. I say this as a habitual bike traveler who has preferred to do my riding somewhere else. This has to do with issues of bike maintenance and security: City streets beat up your bike, and you’re always worried about where to put it and how to keep it safe. Who wants to carry it up and down in an elevator or schlep around a chain the size of a python? But this problem has been addressed by the city’s bike-sharing program, which is a year old this month. I’ve become an enthusiastic bike commuter — happily my office and my home are in neighborhoods served by the limited system — and I can report, unscientifically but with some certainty, that cycling in the city is better than it has ever been. As I was cycling home the other night I came across a few of my fellow students from the Yale School of Forestry and Environmental Studies. Several of them asked me: Where is your bike helmet? I get this question a lot. I have made a careful and conscientious choice to not wear a helmet when I'm cycling in urban areas because I strongly believe that it will help improve the overall safety of cycling in the long run. It's an unintuitive position to take. People have tried to reason with me that because I've spent so much money and time developing my brain, and the cost of an injury would be so devastating, it's clearly more important to wear a helmet. But if we start looking into the research, there's a strong argument to be made that wearing a bike helmet may actually increase your risk of injury, and increase the risk of injury of all the cyclists around you. WHY DOESN'T EVERYBODY WEAR A HELMET? Let's first get one thing out of the way: if you get into a serious accident, wearing a helmet will probably save your life. According to a 1989 study in the New England Journal of Medicine, riders with helmets had an 85% reduction in their risk of head injury and an 88% reduction in their risk of brain injury. That's an overwhelming number that's backed up study after study. Nearly every study of hospital admission rates, helmeted cyclists are far less likely to receive serious head and brain injuries. These studies confirm what we feel when we're out for a spin on our bikes: We are exposed. Vulnerable. Needing of some level of protection. Sharing (or wrestling) road space from a never-ending stream of one-tonne metal vehicles can be very intimidating. As a cyclist you are completely exposed. Cars and trucks are constantly zipping around you and there is no metal cage around you to protect yourself. So a helmet provides a level of protection from this danger. It makes you feel safer. But a broader look at the statistics show that cyclists' fear of head trauma is irrational if we compare it to some other risks. Head injuries aren't just dangerous when you're biking—head injuries are dangerous when you're doing pretty much anything else. There's ample evidence showing that there's nothing particularly special about cycling when it comes to serious head injuries. Over the last year, my team and I have been working to expand our line. Using the same principles we always have, our new collection goes beyond the bike. We’ve developed two pants that are both tailored, minimal, comfortable, and durable. Our tops are both luxurious and practical, perfect for any situation. Our garments use high quality performance fabrics, feature feminine cuts and modern details, and will be made in Seattle, Washington. Our City Legging and Trouser are both constructed of Schoeller-Dryskin, a durable four-way stretch fabric that is water resistant, abrasion resistant and moisture wicking. We’ve also eliminated the inseam to reduce chafing and potential wear, providing women with comfortable and long lasting options. The City Legging provides women with a slim silhouette perfect for layering. We’ve designed the legging to have a high waist, skinny leg, and side zipper for easy entrance. Black. Sizes 0-14.